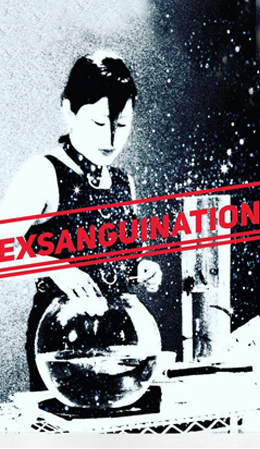 Responding to hyper-mediatized, colliding images, and sensory overload of global despair, Sifuentes and Cates team up to create #exsanguination, a performance where the bleeding body stands in for the displaced, invisible, and forgotten, becoming a site for activism, penance, and reinvention. In this new performance by Roberto Sifuentes and jonCates, live performance, the immediacy of glitches, and experimental soundscapes intersect on a concrete runway. ROBERTO SIFUENTES is an interdisciplinary performance artist. His work fuses highly charged cultural issues with a wild pop culture aesthetic. From homeland security to extreme reality television – from video games to military training – from fetishism to evangelism – Sifuentes creates interactive performance installations where his personas wind their way through psycho/sexual/political/ universes. 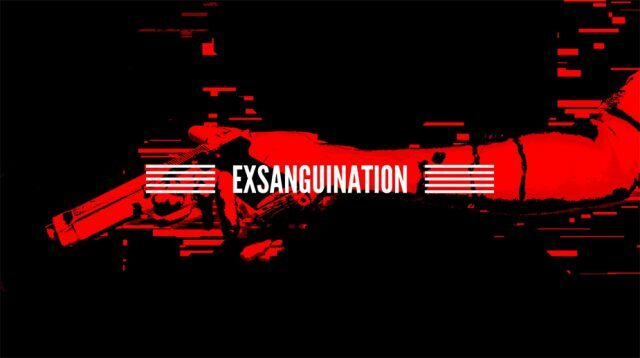 The result is a cinematic style that uses satire, humor, and spectacle to peel away the viewer’s protective layers and reveal society’s desires, fears and obsessions. A founding member of the performance group La Pocha Nostra, Sifuentes has collaborated and performed with Guillermo Gómez-Peña and other Pocha Nostra artists throughout the United States, Europe and Latin America. Sifuentes is currently Associate Professor of Performance at the School of the Art Institute of Chicago. jonCates is an internationally recognized Glitch Artist based in Chicago and exhibiting worldwide in galleries, museums and online.